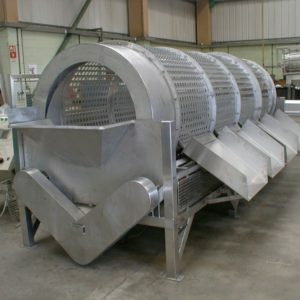 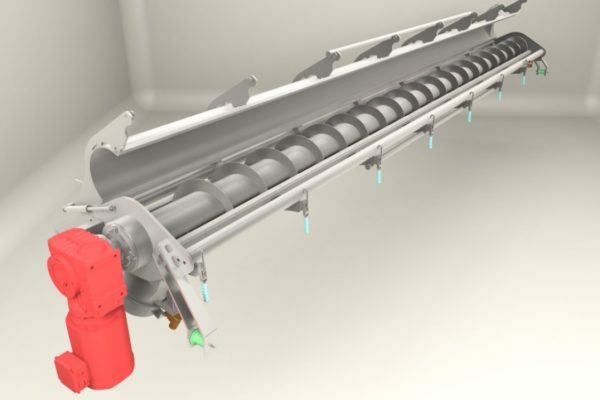 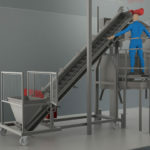 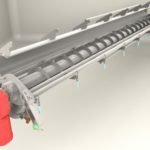 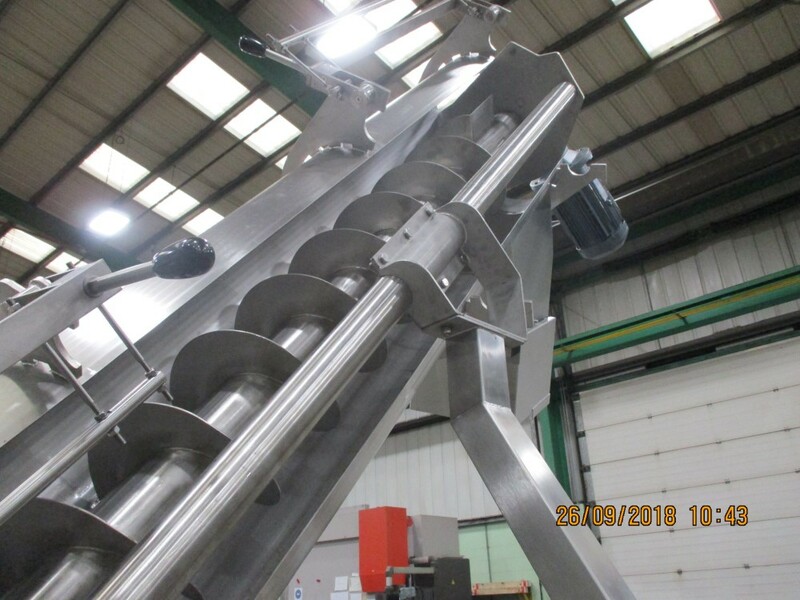 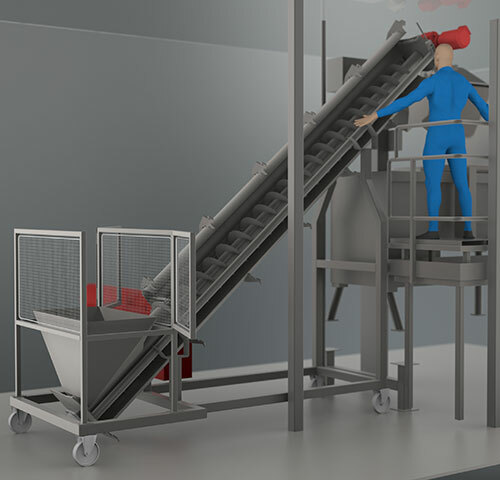 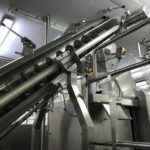 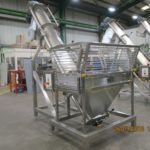 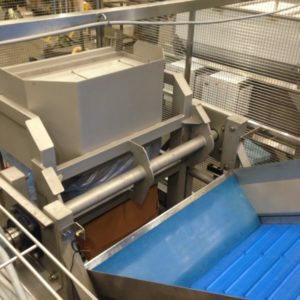 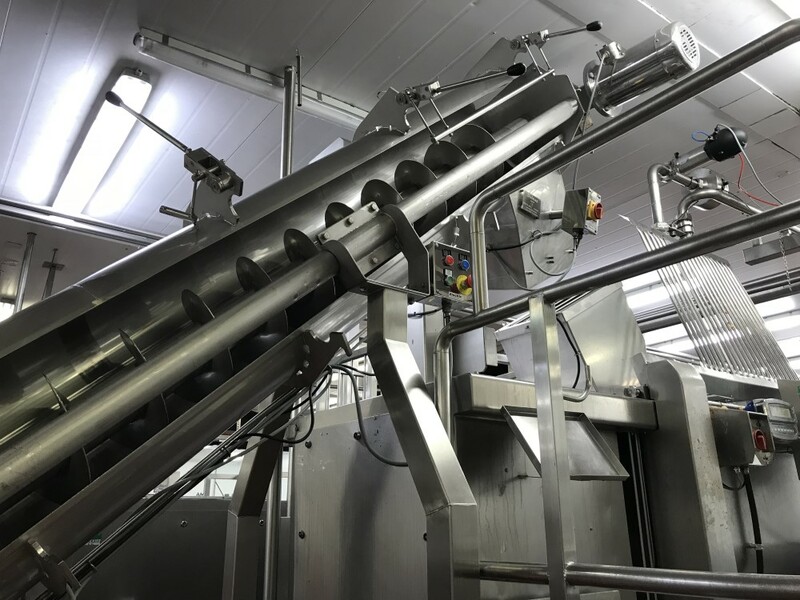 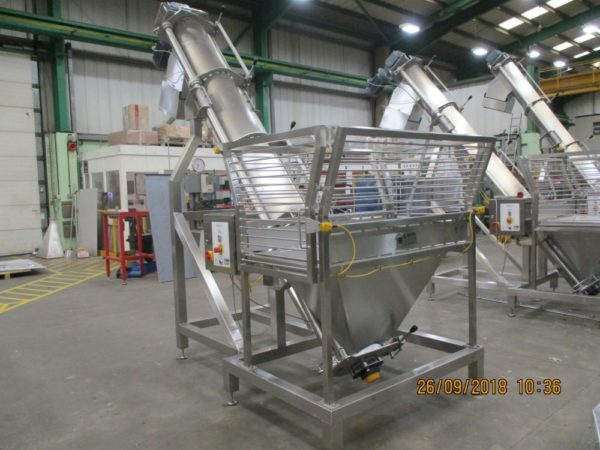 The unit is different from a conventional screw conveyor in that it allows total access to the scroll and inner casing for total cleaning. 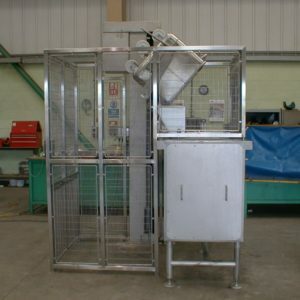 This is achieved by allowing the casing to hinge open whilst in situ. Opening of this split casing is assisted by gas springs, whilst the locking mechanism utilises an easy operated over-centre cam system (all interlocked for safety purposes).